Lawyers for Samsung Wednesday filed an emergency motion asking U.S. District Court Judge Lucy Koh to halt the retrial in anticipation that the U.S. Patent and Trademark Office would nullify one of the patents at the center of the case. The patent, U.S. Patent 7,844,915, covers a single and multitouch zooming method for smartphones and is being reexamined by the patent office to determine if it should have been issued in the first place. Samsung said the USPTO advised it on Wednesday that it intends to find all claims of the patent are invalid. “The Advisory Action is the Examiner’s final word on the invalidity of the ‘915 patent. This decision by the PTO jeopardizes the jury’s findings in the damages trial and may render all of the post-trial proceedings a waste of time and resources,” Samsung said in its request. “Samsung’s strategy to delay entry of final judgment in this case has crossed the bounds of reason: Samsung seeks to halt the damages retrial in the midst of jury deliberations,” Apple’s lawyers said. Apple didn’t say whether it intends to file an appeal, but noted that it still has time to do so. On Thursday morning, jurors resumed their deliberations in the damages retrial at the U.S. District Court for the Northern District of California in San Jose. The eight jurors are trying to decide how much Samsung should pay for infringement of several Apple patents, including the ‘915 patent, in multiple models of its smartphones. 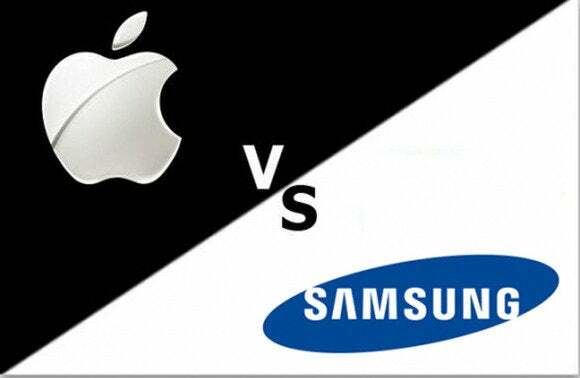 Apple has asked for $380 million while Samsung argued the payment should be $52 million.